As seen in the energy sector with renewable energy plants, high efficiency systems and bio-buildings, we believe that there will also be increased development and speed in regards to electric traction vehicles. B-eco has therefore decided to invest in this wide and growing sector, firmly believing that it will continue to increase the economical and environmental benefits that are already ongoing due to the current energy revolution. This technology is hugely innovative, even if it’s based on concepts that are already known (for instance, trains have had electrical traction for decades). Today there are newer and important developments ongoing in regards to electrical mobility: batteries are more efficient, capacious, robust, powerful, long lasting and charging quickly. There are no particular requirements to buy and use the electric vehicles. 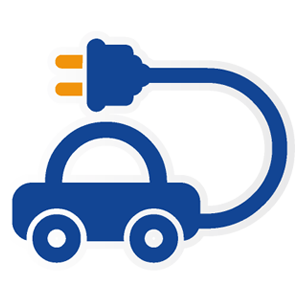 To drive an electric vehicle is similar to drive a common vehicle with an automatic transmission.The purchase of an electric car is even more manageable if a night parking with an electric connection for recharging is available. The maintenance of an electric vehicle is much easier than that of a common car with an internal combustion engine. The electric engine is simpler and more robust than the internal combustion one (gasoline or diesel), as it works at lower temperatures and does not need to move valves or manage exhaust gas and with less moving parts, it requires less attention. Electric vehicles are easy to drive, robust, requiring very little maintenance. They are silent yet very powerful. Electric vehicles are comfortable, cheap, and very beneficial for the environment. The costs of managing an electric vehicle (in terms of maintenance and recharging) are much lower than those of a car with an internal combustion . Owning an electric vehicle guarantees the investment return of the initial purchase within few years. The cost of electric vehicles is expected to decrease in next years. The electric vehicles do not produce exhaust-gas. The electrical energy used to recharge the batteries is taken from the grid (in this case with its mix of renewable sources) or from a local renewable energy plant, such as a photovoltaic one (in this case with higher percentage of clean energy, that could reach 100% thus achieving the “zero cost” of the “fill up of energy”, forever). In both cases there is a reduction of CO2 emission. It contributes to preserving the environment and eco-system, assuring energetic autonomy for our generation and the generations to come.